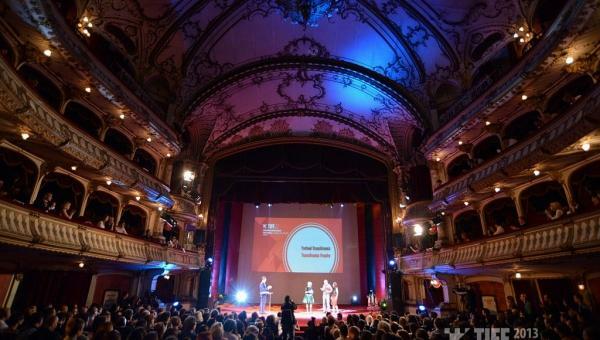 On Saturday, June 8th, Cluj National Theatre hosted the Awards Ceremony of the Transilvania International Film Festival. 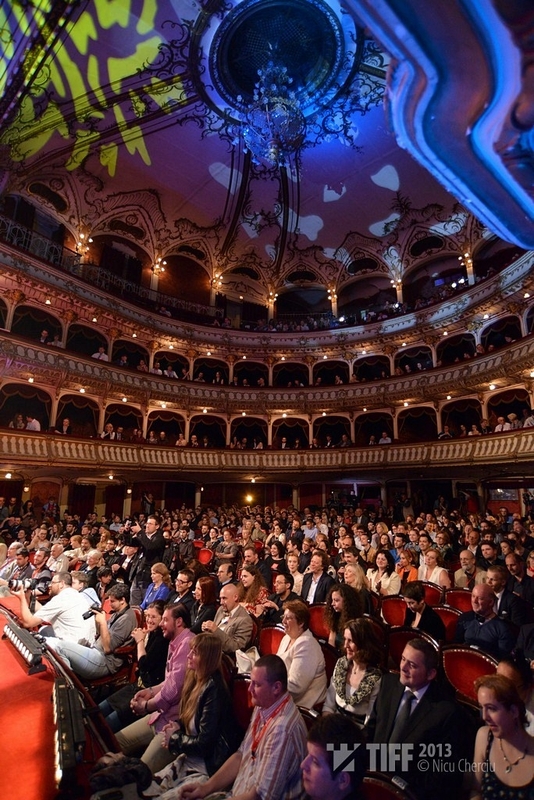 Attended by well over 800 guests, the Closing Gala of the 12th edition was presented by Tudor Giurgiu, the director of the festival. The stars of the night, protagonists of unforgettable TIFF moments were actress Luminița Gheorghiu, the recipient of the Excellence Award, and famed Czech director Jiří Menzel, the recipient of the Lifetime Achievement Award. The Transilvania trophy, of 15.000 Euro, went to a first time director, Anand Gandhi, who impressed the jury with his feature film Ship of Theseus (India). 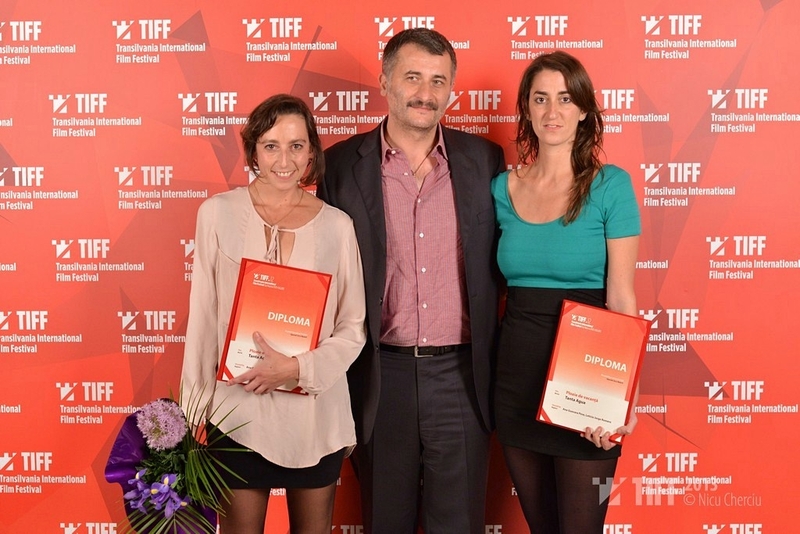 "We salute a new major talent in world cinema”, said the jury. The trophy has handed to the sound designer of the film, Erdélyi Gábor, by director Jiří Menzel and actress Luminița Gheorghiu. "I’ve learned a lot from Anand Gandhi, he is very talented. Please watch this film, it will change your lives”, said Erdélyi Gábor. Ship of Theseus also received the Best Cinematography award, of 3.500 Euro (digital post-production services offered by Cinelabs). Director of Photography Pankaj Kumar received the award for "the fluidity of the images and his excellent manner of surprising contemporary India’s vibrating and colorful life”. The film is a meditation about identity, doing what is right, beauty and death told through the three apparently unconnected stories of an experimental photographer, a monk and a stock broker. 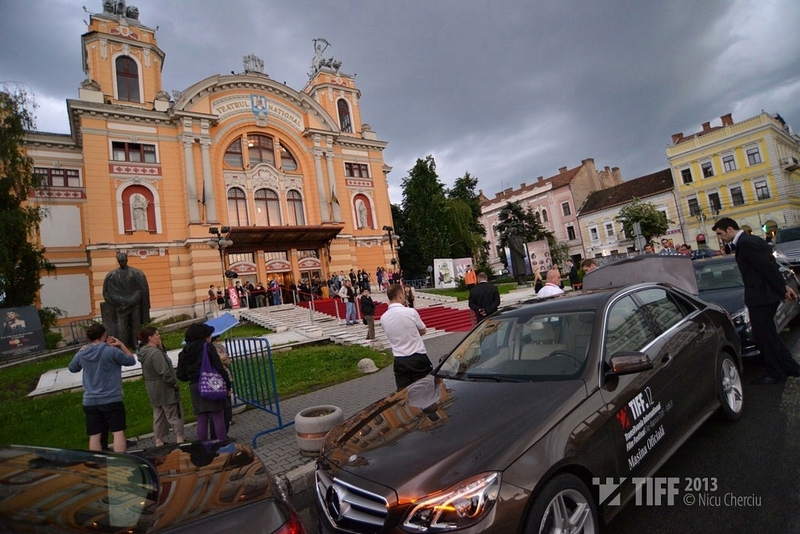 The audience gave a huge hand to Luminița Gheorghiu, the recipient of the TIFF Excellence Award, offered by Mercedes-Benz. "I’m so humbled by you, by this award. Excellence? It means that, starting tomorrow, I won’t be allowed to make mistakes, which is impossible. 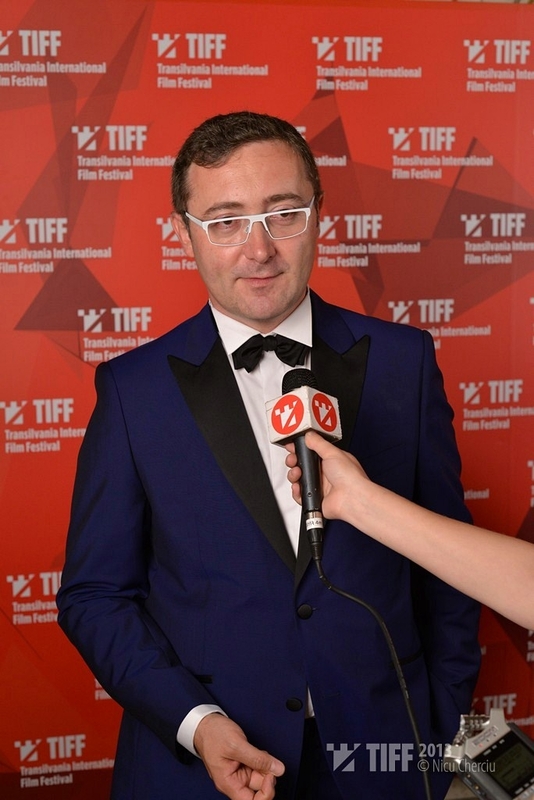 I wish to share this award with all those I’ve worked with throughout the years.” The very touching moment was presented by actress Cristina Flutur, of Beyond the Hills and the artistic director of TIFF, Mihai Chirilov. 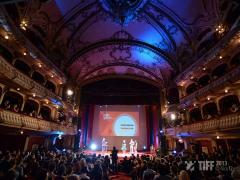 The Romanian Days winner is the documentary Here... I Mean There (by Laura Căpățână Juller), which received the Best Feature Award, of 5.000 Euro in post-production services offered by Abis Studio. "I am very happy for this film, which encompasses four years of hard work. It was made without money”, said producer Ada Solomon. The Romanian Breakthrough Award went to Paul Negoescu, for A Month in Thailand. The 1.000 Euro prize offered by URSUS, was presented by actress Mihaela Sîrbu to the film’s protagonist, Andrei Mateiu. The Best Short Award went to Shadow of a Cloud, by Radu Jude, a film presented earlier in May within the Quinzaine des Réalisateurs section of Cannes. The award consists of 1.500 Euro and a day of shooting at the MediaPro Studios.The jury also handed two special mentions, to the short films Claudiu and the Fish (by Andrei Tănase) and The Pill of Happiness (by Cecilia Felmeri). Teens Teona Galgoțiu, Marc Solomon and Eva Todică, directors of Pentru Carlo, within the Let΄s Go Digital! workshop, won the award offered by UPC. The Local Competition Award of 1.500 Euro, offered by Terapia Ranbaxy, went to Eleven töredék (by Bántó Csaba, Iszlai József) and Édes otthon (by Ábel Visky). The Special Mention of the Local Competition offered by Fabrica de Pensule, went to Clubul de bridge (by Ana-Maria Vîjdea, Cristina Haneș). 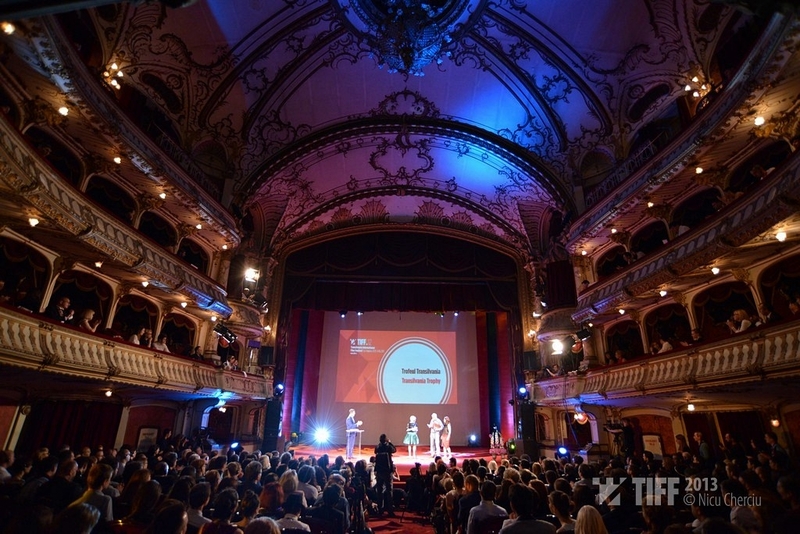 Carmen Harabagiu, the CEO of HBO Romania, announced the winners of the HBO/TIFF National Script Contest: the Best Feature Screenplay award (3.000 dollars) went to Toma Bogdan, for "Reparaţia”, the Best Documentary Screenplay award (2.000 dollars), went to Marius Iacob, for "Despre starea de bine”, and the Best Short Screenplay award (1.500 dollars) went to Radu Bărbulescu, for "Dispozitivul 0068”.